The economic belt of the Silk Road or “One Belt” designates the land network of silk roads linking China to Europe. Reviving the ancient Silk Route is a very ambitious goal that will only be achieved through increasing cooperation between China and Europe. The New Eurasia Land Bridge Economic Corridor is one of the most ambitious OBOR projects; it consists in developing rail transportation between China and Europe through Kazakhstan, Russia and Belarus. Freight trains link Chongqing to Duisburg, Chengdu to Lodz, Yiwu to Madrid, Wuhan to Hamburg, and Wuhan to Lyon. 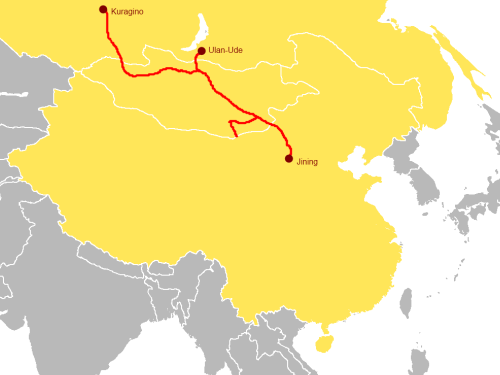 The objective of this corridor is to increase the frequency of rail transportation between China and Europe. To accelerate trade along this route and increase its competitiveness vis-à-vis maritime transportation, this program is complemented by a simplification of customs procedures according to the principle of “declaration, inspection, clearance”. Other infrastructure upgrades will be added to this corridor. The new Steppe road aims to develop trade between China and Mongolia by modernizing transport, telecommunication and energy networks to make Mongolia a hub between China and Russia. 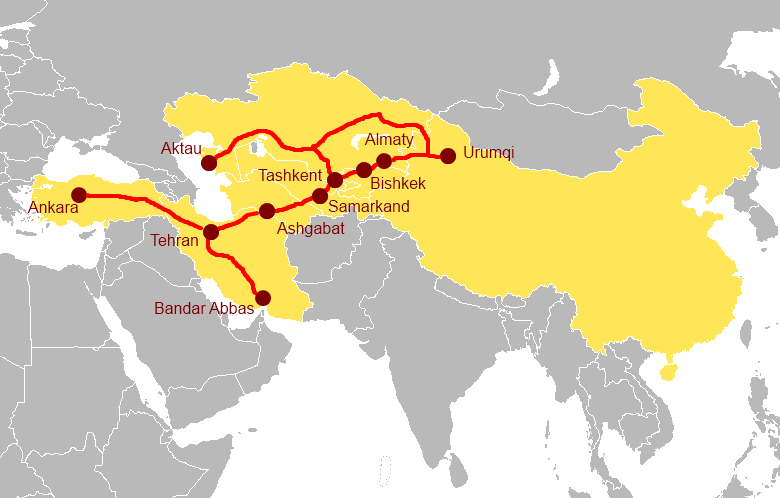 This is one of the main axes of the new Silk Road; it connects the Chinese province of Xinjiang to the Mediterranean Sea, through Kazakhstan, Kyrgyzstan, Tajikistan, Uzbekistan, Turkmenistan, Iran and Turkey. It follows the ancient Silk Route. This initiative is completed by bilateral cooperation agreements between China and Central Asia states. This corridor aims to better connect all the regional economies to China but also to Europe and thus offers a new intercontinental communication network that will open up Central Asian states. This corridor requires the construction of numerous transportation and energy infrastructures from the Middle East to China. It is supplemented by various measures aiming at increasing trade among all states involved in the OBOR. 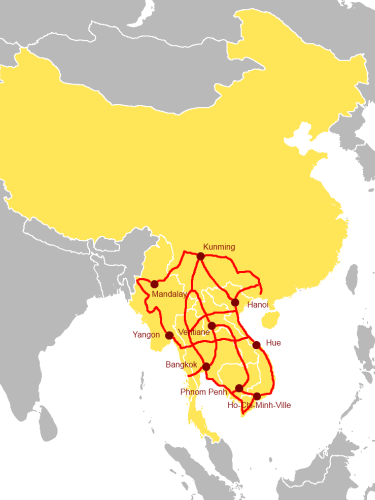 This program aims to strengthen cooperation among states of the Greater Mekong subregion, in particular by developing transport (motorways, railways and air connections). This initiative will support trade between China and ASEAN members that are already bound by a free trade agreement since 2010. In China, the provinces of Yunnan and Guangxi are the most involved in this cooperation. 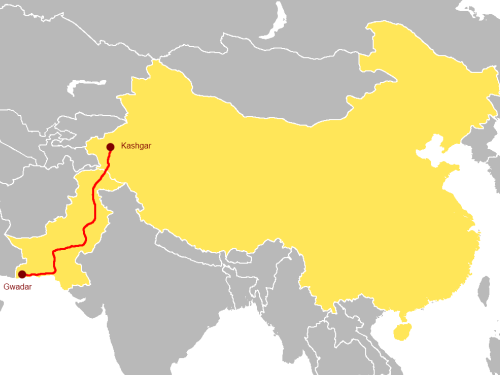 This cooperation program connects Kashgar in the Chinese province of Xinjiang to the port of Gwadar in Pakistan; it includes the construction of railways, highways, optical fiber networks, the creation of an international airport in Gwadar as well as the establishment of special economic zones. The purpose of this corridor is to better connect China with the various economic centers of the Gulf of Bengal, and to increase interregional trade by reducing non-tariff barriers. It also aims at strengthening transport infrastructures and decreasing poverty in this region. 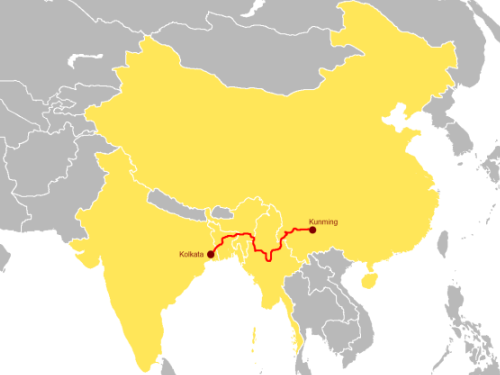 This corridor would link Kunming to Kolkata (Calcutta) via Mandalay and Dhaka.